This lightweight fortification wall system is ideal for fast moving troops. Fortification walls can be built and dismantled in a few minutes allowing troops to be protected even during short stops or operations. 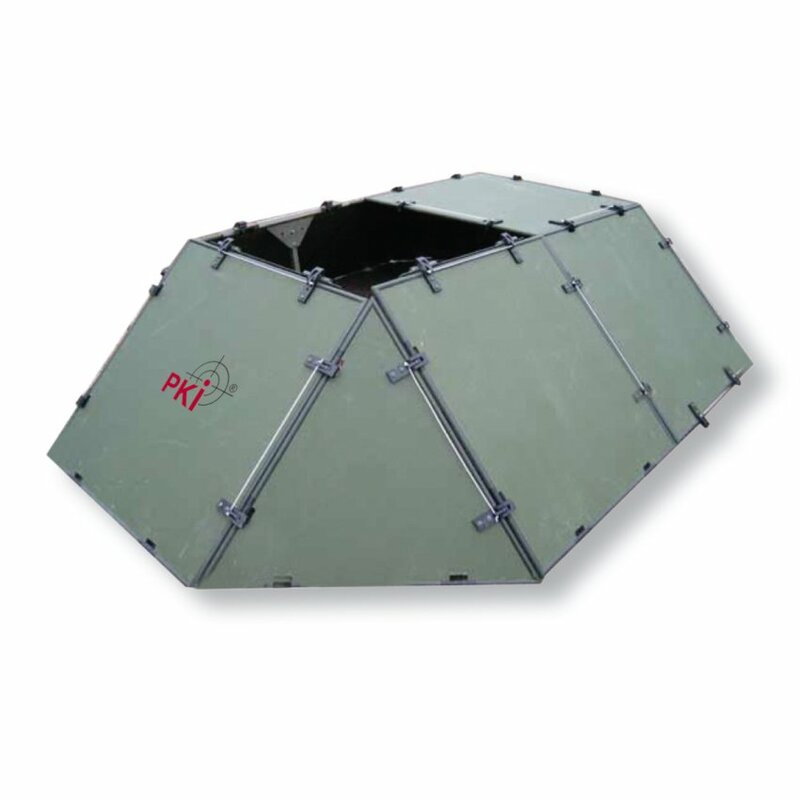 Panels protect men or property mainly from fragments, protection level of V 50 >600 m/s. For bullet protection a double panel system can be used. All components are capable of withstanding UV-radiation, fuel and oil spatters as well as temperatures between -40°C and +60°C. The panels are fully moisture resistant. This innovative ballistic multipurpose protection system is easy to adapt for various military, police and peace keeping applications. It can also be used for civilian protection, e.g. protection of window and door openings. Explosion test: endures 0,5 bar overpressure, pressure influencing time 0,01 sec.